The DLG (Deutsche Landwirtschafts-Gesellschaft – German Agricultural Society) is globally recognized as the preeminent, independent testing organization for animal welfare solutions. The DLG’s mandate is to promote technical and scientific progress. With its projects and activities the DLG sets standards and provides impulses for progress. 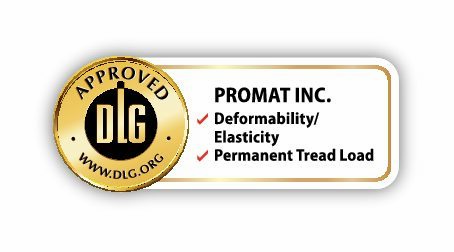 Promat’s mattress and bedding solutions are rigorously tested by DLG and we proudly display our approvals for excellence in Deformability/Elasticity and Permanent Tread Load. 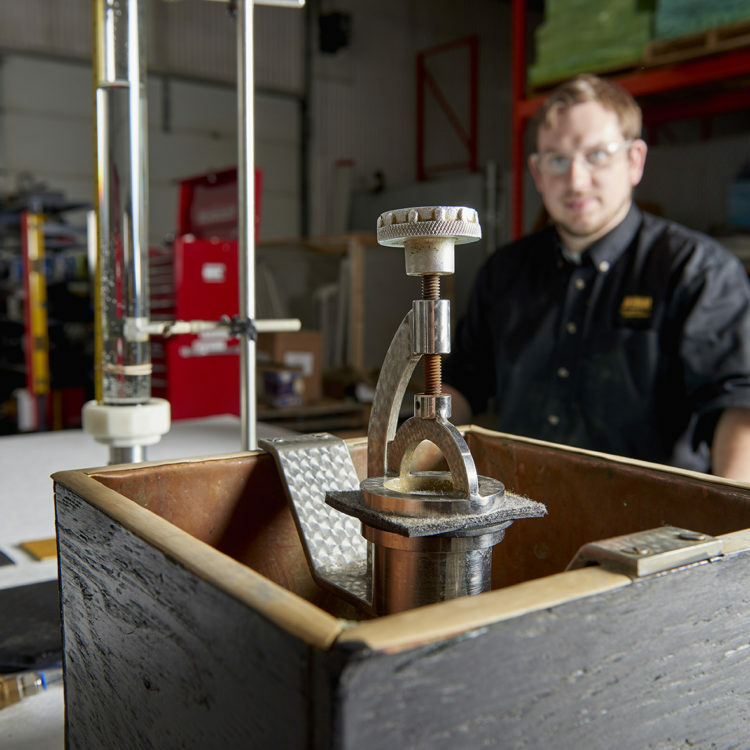 Promat designed and built its own equipment that accelerates the wear and tear a cow applies to a mattress over a numbers of years. This state-of-the-art machine has the ability to adjust impact pressure and impact frequency to provide and excellent indication of the condition of our mattresses after years of use. 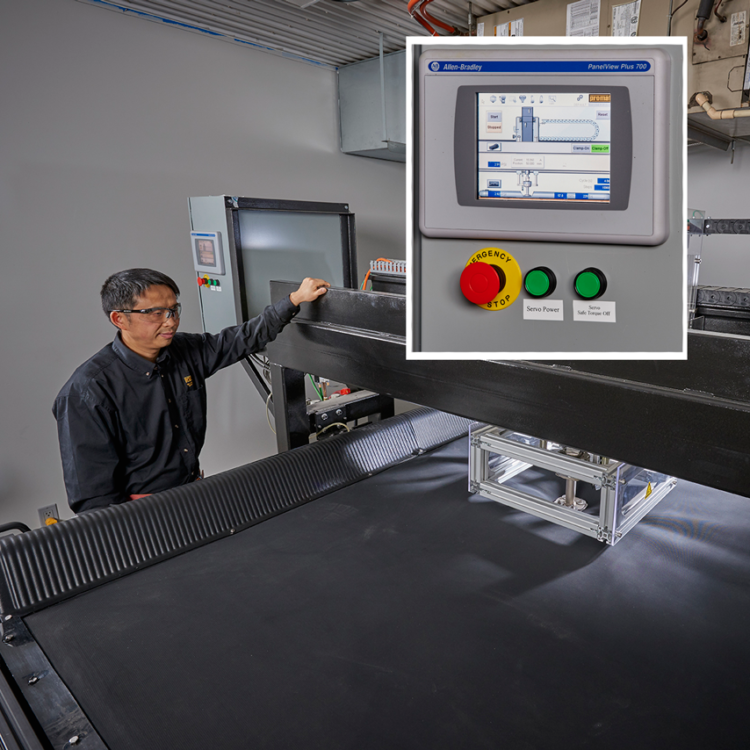 Promat utilizes traditional Clegg-Hammer technology to measure the softness of our mattress solutions. These results, combined with our durability testing provide an excellent indication that our mattress solutions are providing the maximum comfort for your cows. To ensure the on-going cleanliness of our mattress solutions, each of our top covers are thoroughly tested by applying various compression levels of water which ensures the final product effectively repel moisture and provides a dry, comfortable lying surface for your cows. 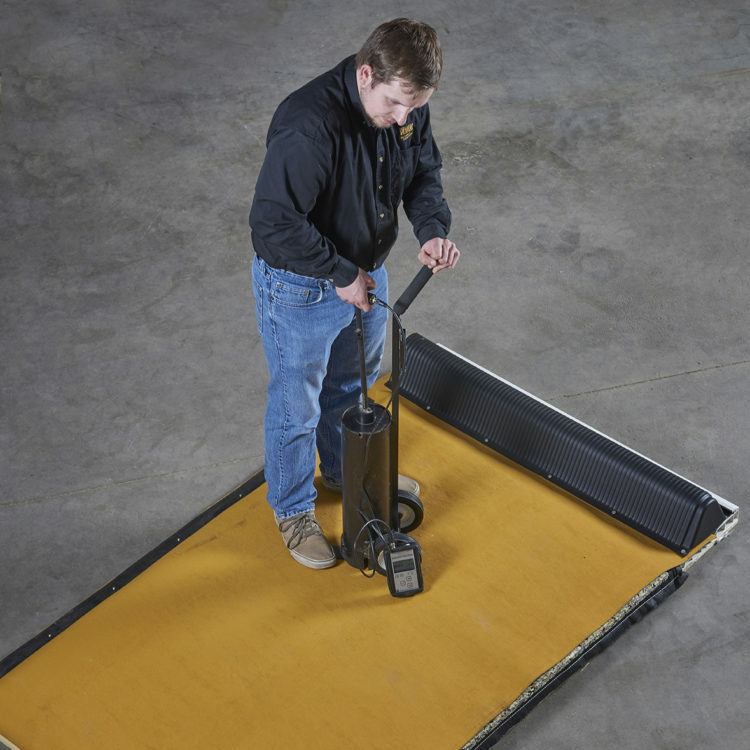 On other solutions, such as the Pack Mat ,we measure the permeation speed of liquids in order to measure how well the sand bedding above stays clean and dry. In cooperation with Universities, in both North America and Europe, we run several studies on cow and horse behavior, overall health, cleanliness, lying time and yield improvement. 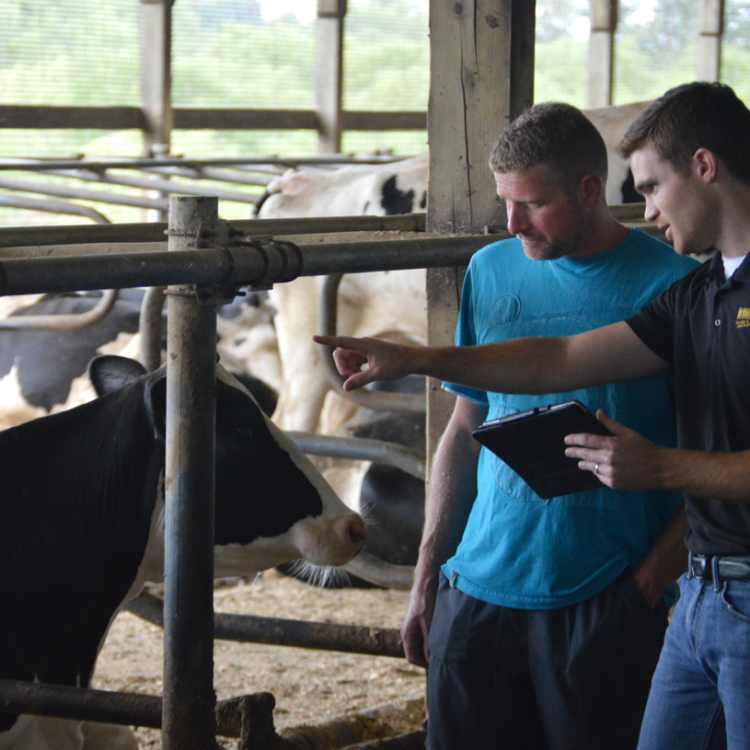 Via time lapse cameras and hours of observations we measure the “feedback” of the end user: your cows and horses. Overall wear and tear is tested over longer periods in these barns as is the ease of cleaning the top cover surfaces.